It is hard to go wrong with a story as viscerally affecting as that of Yossi Ghinsberg, an Israeli who took a year off from his life to seek adventure. He found it in the Jungle. Beautifully portrayed by Daniel Radcliffe, Yossi heads to Bolivia where he befriends Swiss schoolteacher Marcus (Joel Jackson) and American photographer Kevin (Alex Russell). Director Greg McLean (Wolf Creek) invests a good chunk of Jungle in letting us get to know this amiable, romantic trio—searching souls that seek some kind of connection with nature, humanity and life. They find something that may be too good to be true when Yossi meets the mysterious jungle guide Karl (a wonderful Thomas Kretschmann). Together the foursome head into uncharted territories in search of lost tribes, rivers full of gold and other wonders not found on the typical tourist to-do list. You know what they say about things that sound too good to be true. Frustrations run high, mercy runs low, faith in leadership wanes, and eventually, an accident separates Ghinsberg from the group. He is on his own to survive the jungle, starvation, delirium, and one nasty, squirmy head wound. Adapting Ghinsberg’s autobiography, screenwriter Justin Monjo sticks to highlights, which gives the film an artificiality it never fully shakes. McLean’s camera embraces both the overpowering beauty of the extreme environment as well as its shadowy, jagged, sometimes toothy menace. He just needs to learn when to leave it alone. Speaking of alone, Radcliffe spends about 1/3 of the film on his own. For anyone still wondering whether Harry Potter can act, this film should set aside all doubt. Radcliffe is a natural fit for deeply decent characters, and his expressive face helps him communicate an enormous amount of unspoken content. He’s great, as is the story and the balance of the cast. It’s just the writer and director who let us down from time to time. Jungle is at its worse when McLean shows how little faith he has in his material and his audience, leaning on emotional manipulation and an almost oppressively leading score to ensure we are getting his point. There are other questionable decisions, like the dream sequences, which offer little to the film besides the opportunity to objectify the few—all lovely, all nameless—women who grace the screen. 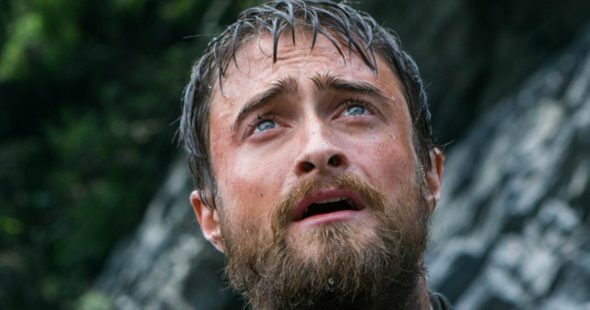 Jungle is, if nothing else, a powerful testament to Daniel Radcliffe’s potency as an actor. It’s also an unbelievable story, and Radcliffe’s performance ensures your keen interest regardless of McLean’s antics.